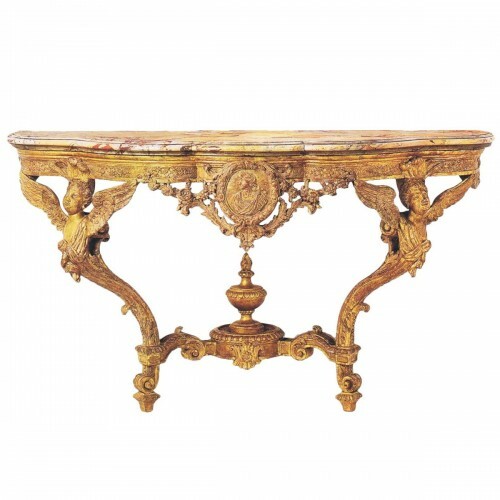 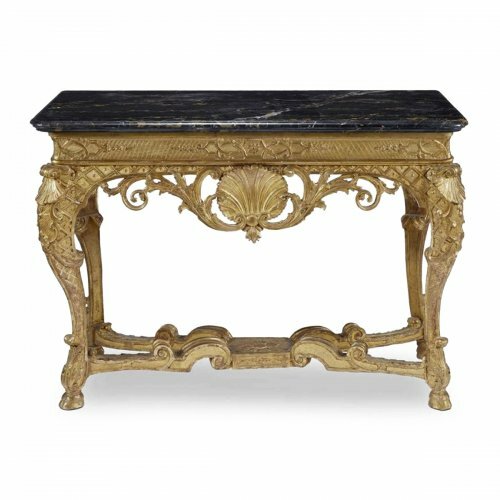 This wooden console is carved and gilded on three sides. 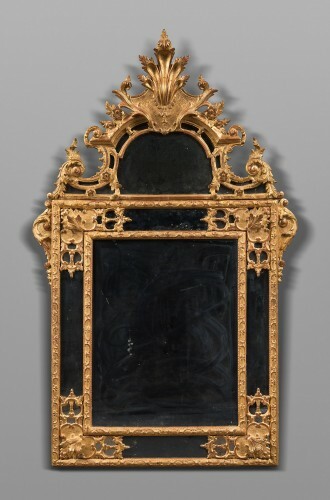 The apron is adorned with a large palm leaf that is placed in the center with two leafy branches coming out from it. 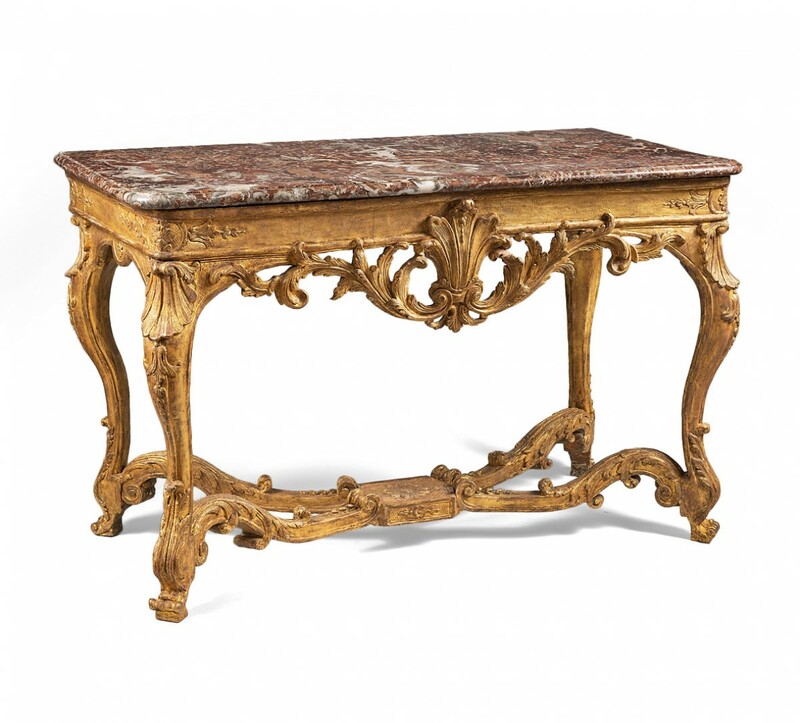 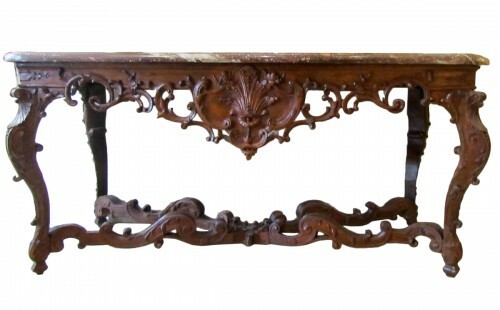 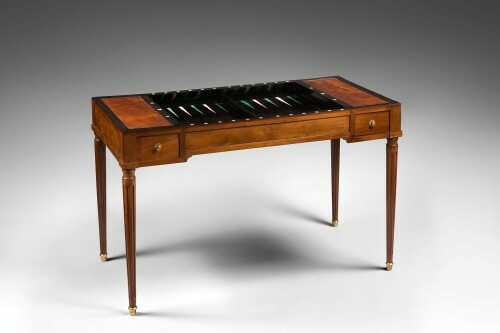 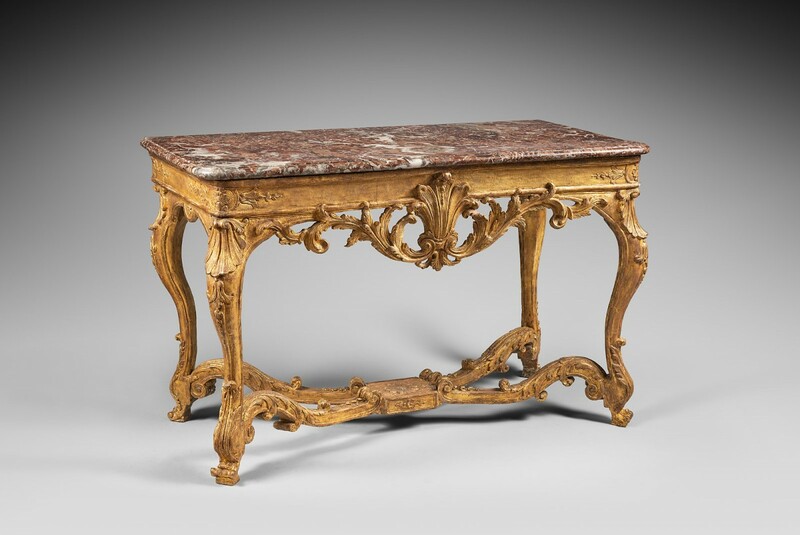 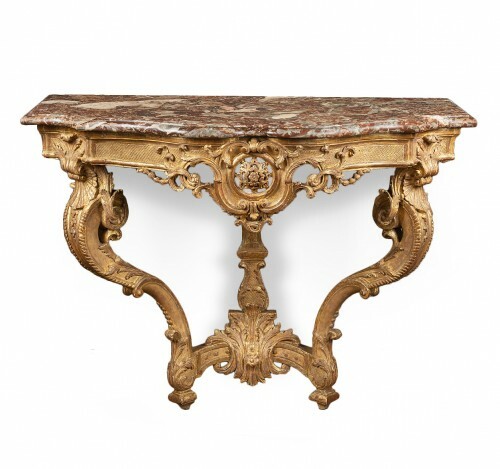 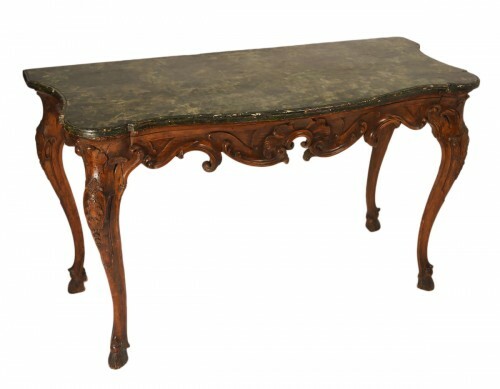 This console has acanthus leaves and shell ornamentation that decorates the four curvy feet that are connected by a X-stretcher. 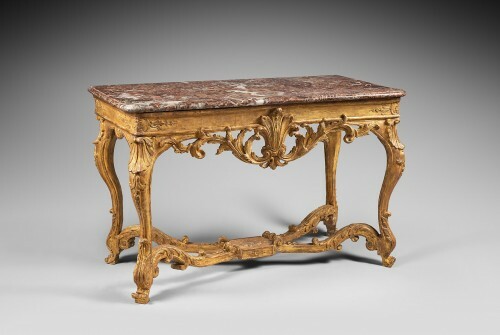 It is topped off with a Rance de Belgique marble.